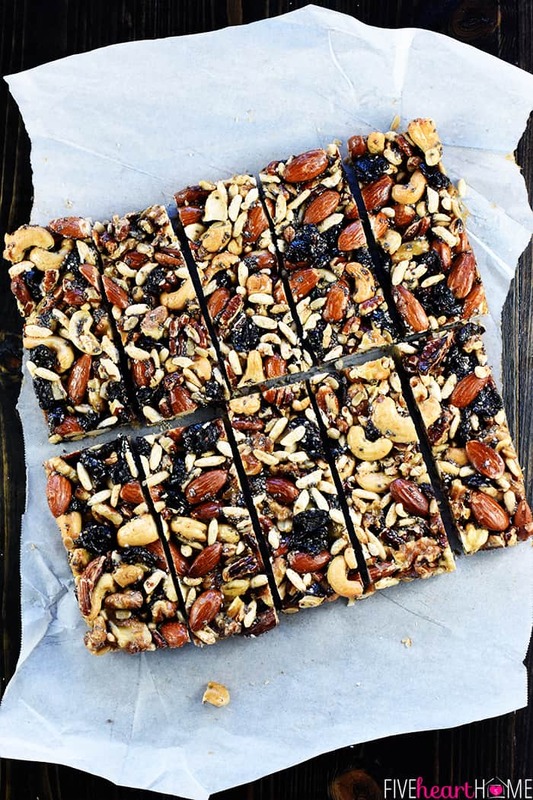 Copycat KIND Bars are a homemade version of the popular, wholesome, nut-packed energy bars…use your favorite ingredients to make them economically at home! Y’all are familiar with KIND Bars, right? 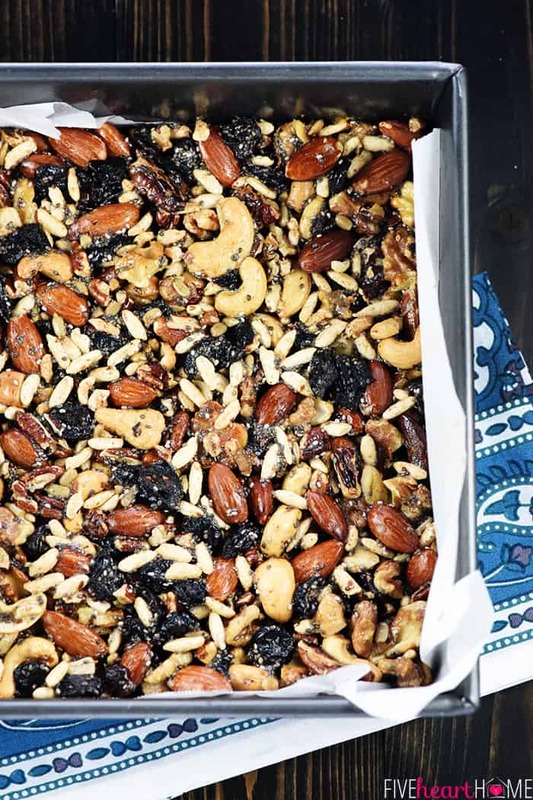 In case you’re not, I’m talking about those individually packaged, granola bar-resembling snack bars that you can buy at the grocery store/health food store/convenience store/just about anywhere, but instead of oats they’re loaded with nuts. 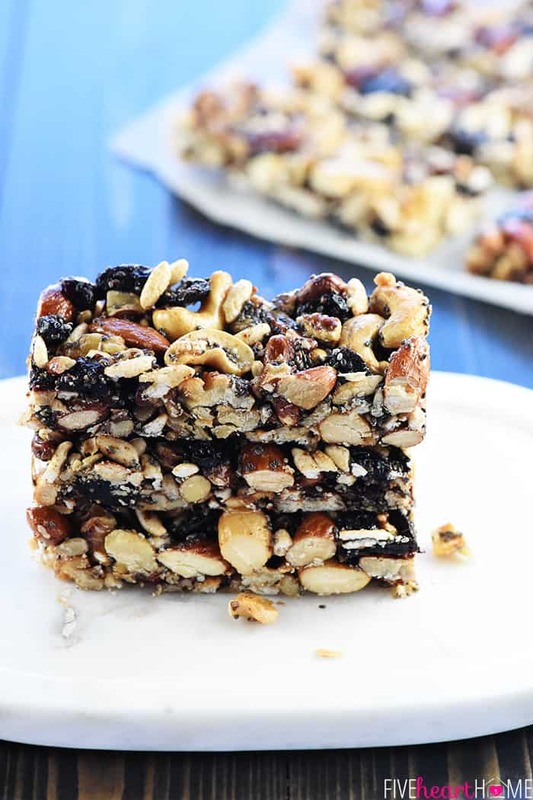 My family is on a mission this year to include more heart- and brain-healthy nuts in our diet, so if you’re inclined to do the same, these Copycat KIND Bars will be right up your alley! 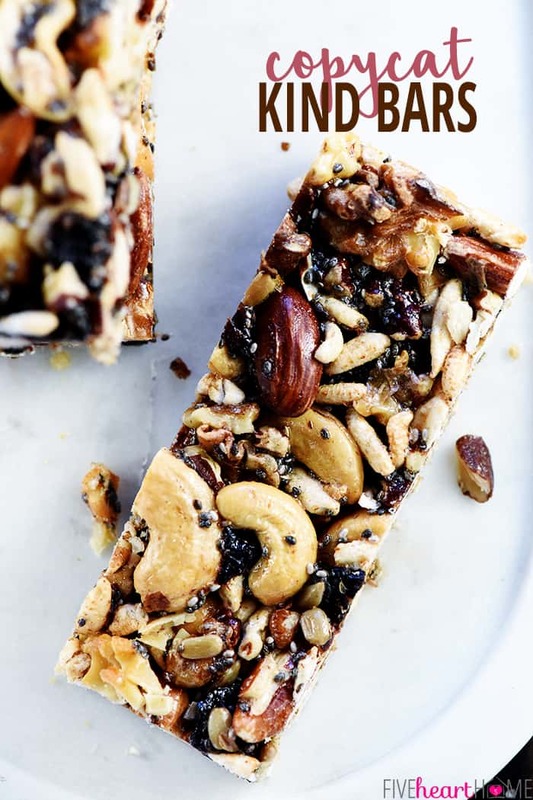 Store-bought KIND Bars come in a plethora of flavors, packed with everything from nuts to coconut to dried fruit to chocolate, and I’ll admit that some of the varieties are healthier (and some are more candy bar-esque) than others. What I love about the ability to make my own KIND Bars at home is that *I* get to control the ingredients. 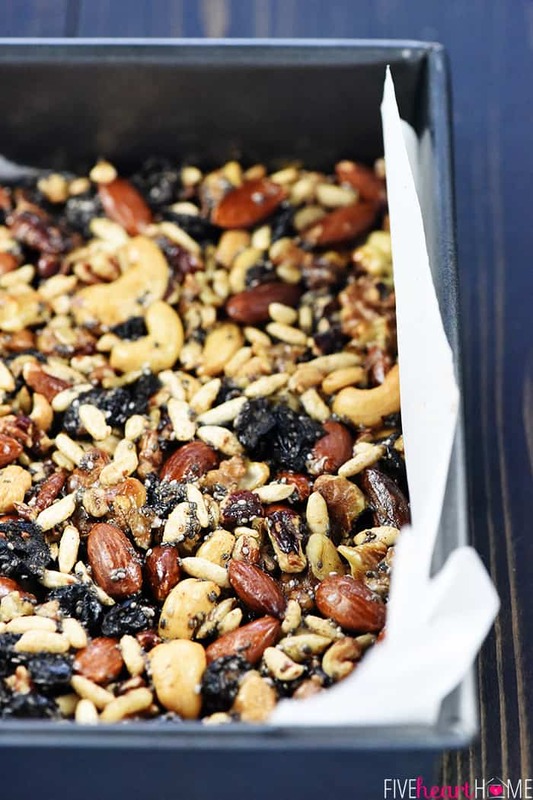 I can cram in as many wholesome nuts and seeds as I want, or I can add in a few goodies (dried fruit, chocolate chips) to make them more treat-like. As an added bonus, making homemade KIND Bars is more economical than buying them. 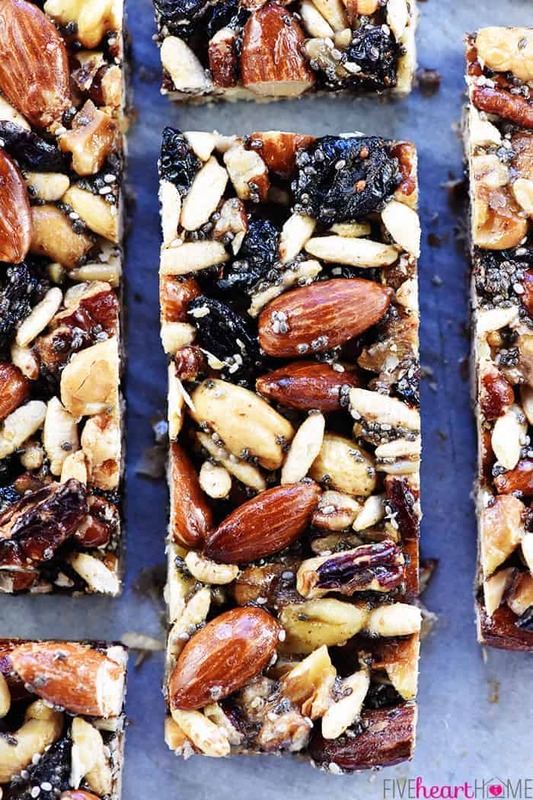 Those store-bought bars may be tasty, but they’re also pricey. Not that nuts are ever inexpensive, but with an initial investment of a few bags of nuts (cheaper still if you buy them in bulk! ), you can make pan after pan of Copycat KIND Bars. 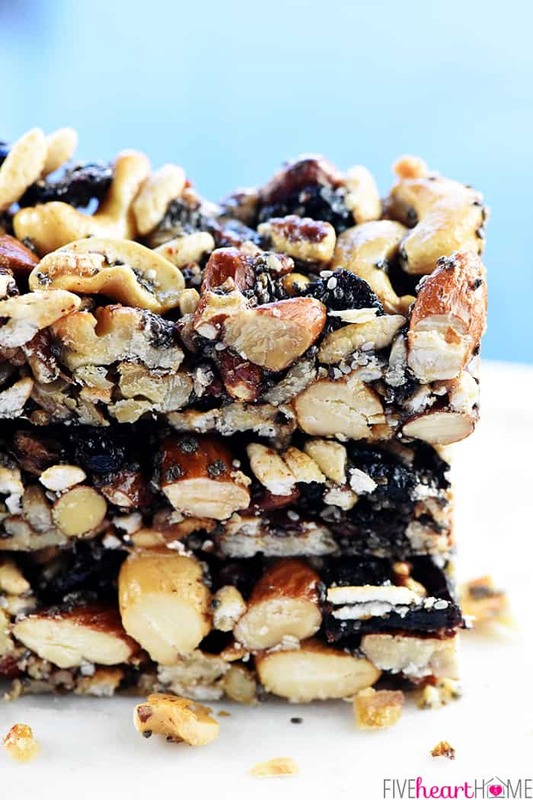 These bars make a great grab-and-go breakfast or snack. They don’t have to be refrigerated and they hold together nicely, just like real KIND Bars. They’re loaded with protein and fiber and healthy fats, meaning they’ll keep you feeling full for a good while. 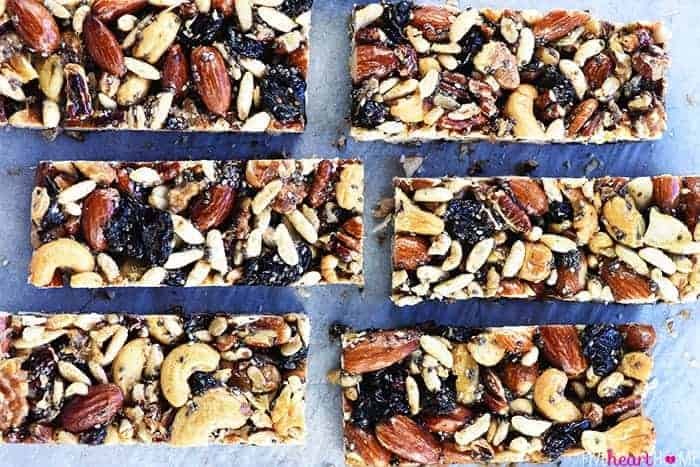 When I first thought about making my own homemade KIND Bars, I did some research and found that there were different ways to accomplish the same end goal. 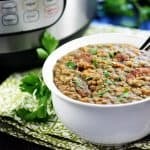 After trying a few different methods and combinations of ingredients, my favorite outcome came from using brown rice syrup. Brown rice what??? I know. I’d never bought it before either. But it was easy to find at my local Whole Foods and word on the street is that you can also find it on Amazon as well? (I’ll drop a link in Tips & Tricks below). 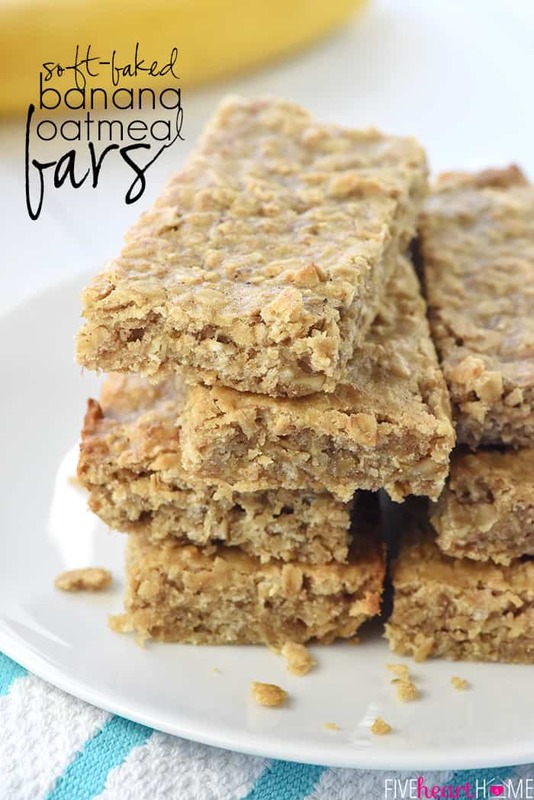 I liked making these bars with brown rice syrup because after baking and cooling, they were crunchy and glossy looking, just like store-bought KIND Bars. Brown rice syrup was easy to work with, neutral in flavor, and lightly (not cloyingly) sweet. The flavor of the nuts was still shining right through. Overall, these bars are super easy to customize! Let’s break down the ingredients, shall we? 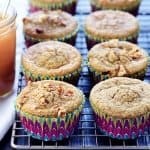 Nuts ~ this recipes calls for 2 cups total. Use your favorite varieties! 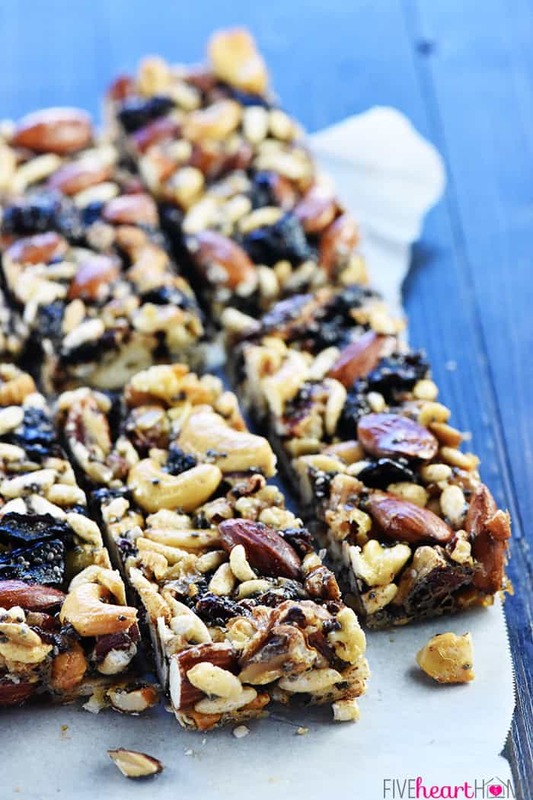 The pictured Copycat KIND Bars were made with 1/2 cup unsalted roasted almonds, 1/2 cup pecan pieces, 1/2 cup walnut pieces, and 1/2 cup cashews. You may lightly toast your nuts if you like, but it’s totally not necessary. Puffed Rice ~ I used unsweetened organic brown rice puffs, which I found in the cereal aisle. I think the puffed rice is important in these bars because it keeps them from being too dense and heavy. Dried Fruit ~ I used apple juice-sweetened dried cranberries, which is why they look almost black in the pics. Sugar-sweetened cranberries have a redder hue. You could also used raisins (regular or golden), dried cherries, chopped dried apricots, or whatever dried fruit is your favorite! Seeds ~ I made my bars with 2 tablespoons sunflower seeds, 1 tablespoon chia seeds, and 1 tablespoon ground flax meal. Feel free to swap in any seeds you like as long as they total about 4 tablespoons. Seeds are a great way to sneak even more vitamins and nutrients into this recipe, but you can leave them out altogether if you prefer. Vanilla & Salt ~ For flav-ah! However, if you use salted nuts, feel free to cut back on (or omit) the additional salt from the recipe. 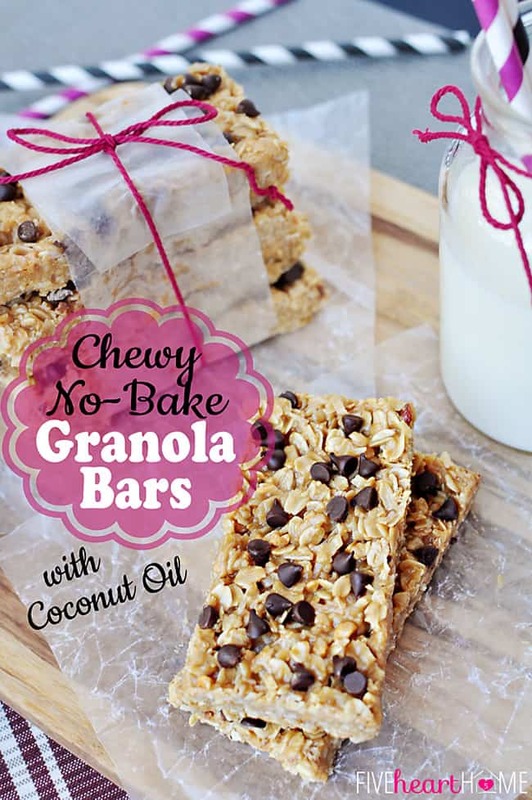 Optional Ingredients ~ Add 1 to 2 tablespoons honey for sweeter bars. Add 2 tablespoons almond butter, peanut butter, or any other nut butter for an extra layer of flavor. Swap in 1/2 cup packed coconut flakes for 1/2 cup of the nuts. Stir regular or mini chocolate chips into the mixture. Or dip/drizzle the finished bars in melted chocolate (with a little coconut oil stirred in to help it set). After you make these Copycat KIND Bars once, you’ll see that they’re easy to customize to your family’s preferences. Swap out the ingredients to mimic your favorite store-bought bars, or create your very own flavor combo! After all, isn’t the true beauty of a copycat recipe that you can take an original…and make it even better? Enjoy, friends! When making a bar recipe like this, I prefer baking it in a pan with really sharp corners (as opposed to rounded corners) like this one. This results in more evenly shaped bars. When I line a pan with parchment paper, I find that the paper stays in place better if I first grease the pan. So I coat my pan with a little bit of coconut oil and then press the parchment paper down into it. The parchment paper’s corners and sides stay put, and I can transfer my nut mixture into the pan without worrying about the paper moving around. This is the brown rice syrup that I used. These are the rice puffs that I used. Since brown rice syrup is thick and sticky, it’s easier to work with when it’s warm. 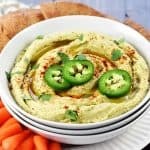 You can pour it into a glass measuring cup and pop in the microwave for about 20 seconds. If you are adding nut butter and/or honey to your homemade KIND Bars, I’d recommend warming those with the brown rice syrup as well and stirring until combined. Just keep in mind that if you add nut butter and honey, your bars will turn out chewier and stickier than if you use only brown rice syrup. The nut mixture is really sticky after mixing it together. 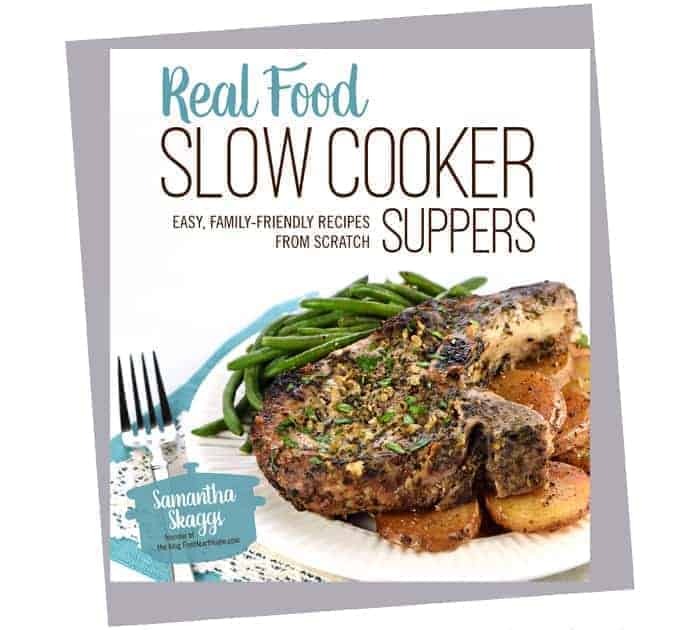 Scraping it into the pan isn’t too bad, but pressing it down into an even layer can be tricky. So I decided to use an old Rice Krispies Treat-making trick that prevents melted marshmallow from sticking! Simply wet your hands, then use your wet palms and fingers to press the mixture into the pan. 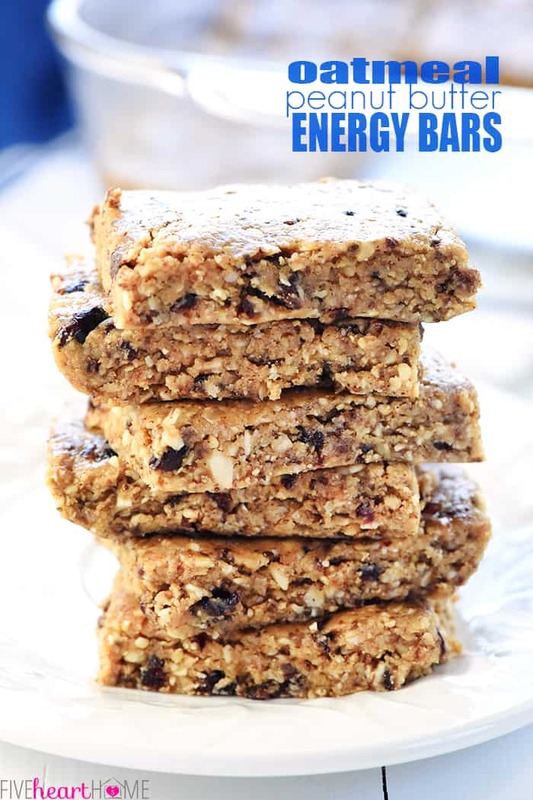 Copycat KIND Bars are a homemade version of the popular, wholesome, nut-packed energy bars...use your favorite ingredients to make them economically at home! Adjust the oven rack to the center position and preheat oven to 325°F. Grease an 8- by 8-inch square pan and line with parchment paper that slightly extends above the top edge of the pan on at least two sides; set aside. 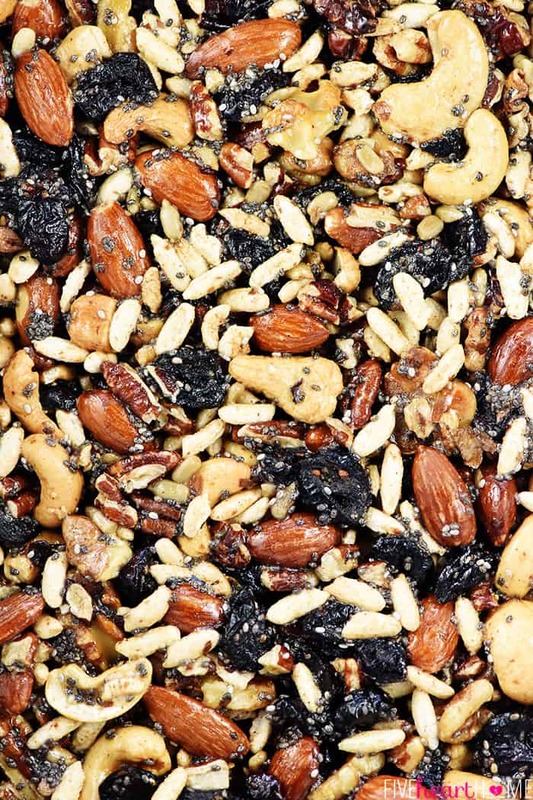 In a large bowl, mix together the nuts, puffed rice, dried fruit, seeds, and salt until combined. Stir the vanilla into the brown rice syrup and drizzle over the ingredients in the bowl. Use a wooden spoon to stir until all of the ingredients are evenly coated. Scrape the nut mixture into the prepared baking pan. With wet hands, press the mixture into an even layer. Bake for 15 minutes. Allow to cool in the pan for 30 minutes, then lift the parchment paper sling onto a cooling rack and allow to finish cooling. Once completely cool, cut the slab into 10 bars using a large knife. 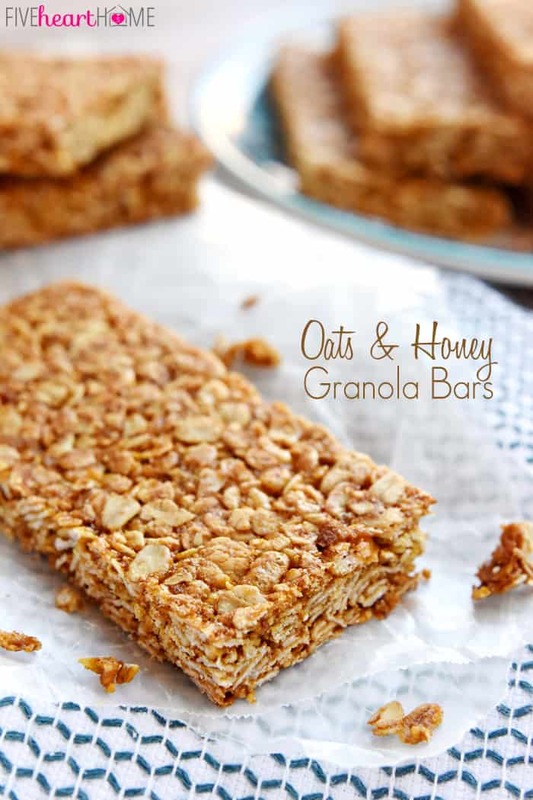 I absolutely LOVE the idea of making my own granola type bars. 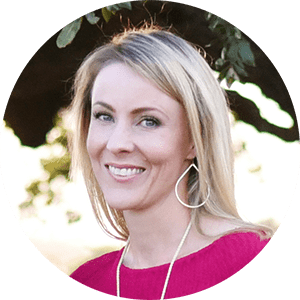 My husband likes them for breakfast occasionally but the kinds we’ve seen in the store are too sweet for his taste – they’re not supposed to be “candy bar like” for breakfast according to him. Me, I’d eat candy for breakfast but I try to use functioning brain cells to make my decisions for meals! Anyway, I look forward to trying these as soon as I get all the ingredients added to my grocery list. I also use this brand of brown rice syrup and find it has just the right amount of sweetness. 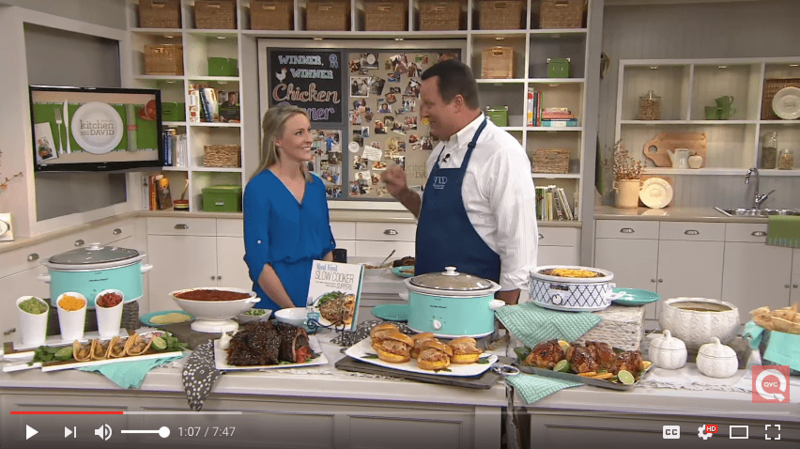 Thanks for sharing this recipe and have a nice weekend…it’s probably warm by you but here in the Chicago area, it’s still a bit cold and we have about 3-4″ of snow on the ground. Ha, Chris…I could eat candy bars for breakfast as well, but luckily there are equally tasty, healthier options out there like these bars. 😉 I hope they were a hit if you’ve already had a chance to try them! Thank you SO MUCH FOR THE COPY CAT KIND BARS recipe . I just made them SO GOOD .I know I will be making the often. What a great keeper recipe. Brown rice syrup is not available where I live so I used maple syrup instead. I also subbed the seeds for shredded coconut and used puffed quinoa instead of rice, still turned out super yummy! 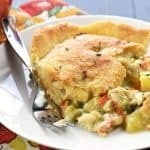 Thank you so much for sharing this recipe, I will definitely use it again! These were really good. Sweet enough without added honey. Salty enough, could even have stood less salt. Will make again. Hardest part is deciding what ingredients I want to use.